Mama Google defines passion as “a strong and barely controllable emotion.” This definition sums up my personality. I don’t have to find my passion, because I was born with it. Sometimes I wish I would lose my passion. I have always admired people who are cool, calm, and collected. I have no chill. I cannot maintain a poker face. Sometimes I wonder if I should have been an actress—if for no other reason than to find ways to channel the emotions constantly surging through me. I suppose being an actress would take some discipline. And talent. Of which I have none. But—besides the fact that I can barely contain myself in any given situation, whether I’m elated or angry, I thought I’d share some of the things that interest me enough to spend a lot of mental and physical energy on. My family—of course. This seems like a given. I’m SUPPOSED to be passionate about my family. It’s what the good Mormon women do—but, I am passionate about making sure the members of my family have their own things to be passionate about. For Julio, it’s travel. For Ellen, it’s writing and reading fantasy novels. Calvin is really into history and politics. Gloria loves to dance and create comic strips. Blythe is obsessed with Star Wars. And Evelyn just wants mama’s attention right now. Krav Maga—I love this military style hand-to-hand combat self defense system. I have almost zero in common with other practitioners, who tend to be Spartan-esque warrior types. I NEVER look for a fight. But, once I’m in, I’m in all the way! Cinema—I love movies. I love watching them, reading about them, finding out how they are made. One of my dreams is to collaborate on a film with Tim Burton. How and when this will happen? I dunno, but I’ll figure it out. Maybe he and I will share the same nursing home somewhere and make stop-motion animation from our mashed potatoes and peas. Johnny Depp and Helena Bonham Carter can do the voices. Social bridge-building—I like finding out what makes people tick and how to connect them to people who don’t understand them. I like bringing people together and sharing ideas. I love to see that light bulb moment when people have a paradigm shift. I tend to get involved with unpopular, but critical social causes, because I want to be a voice for the voiceless. Reading and writing. This stuff turns me on. Homeschooling, my way—I am not the curriculum reviewer. I don’t have tips for folks on how to homeschool better or easier. I just love to learn and love taking my kids along with me. These are all things that I could talk non-stop about—and often have. I am finally learning to watch for signs that people are glazing over, because I really could go on forever. That said, I’ll stop here for now. The word “affirmation” makes me giggle. It sounds new-agey and kind of hokey, but there are certain things I tell myself (and my kids and husband) all the time. I suppose they are affirmations of a sort. 1. “It’ll turn up.” I am hopelessly disorganized. No matter what organizational system I try to implement, within minutes, everything is lost again. I used to berate myself for this character flaw, but now I’ve just embraced it. Things get lost, but miraculously, they turn up again. It may not be until a year later, but—hey, it’s made me a very patient person. 2. “Don’t tell me what I can’t do.” I hate to be micromanaged, I hate to be told what to do and what not to do. I’m not very good with authority for that reason. I’m not belligerent; I will usually tell you exactly what you want to hear, but I will then go ahead and do whatever I want. Don’t take it personally. 3. “I will MAKE it fit.” My methods and actionable timeline may be vastly different than those of others, but whether it’s deadlines, moving house, or getting an 8 foot table to fit a 6 foot space, I will make it work. 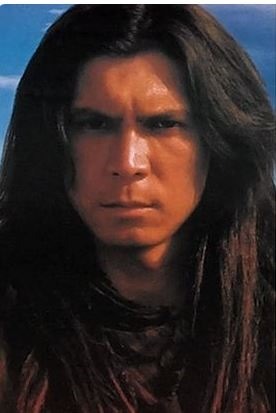 I spent hours gazing at this picture of LDP—from the cover of our VHS copy of Young Guns II. Such a tortured soul. Le sigh, le purr. Eventually, I got over my infatuation with Lou Diamond Phillips, but I still kept a journal, and out of habit, I still wrote my entries in letter format, to LDP. 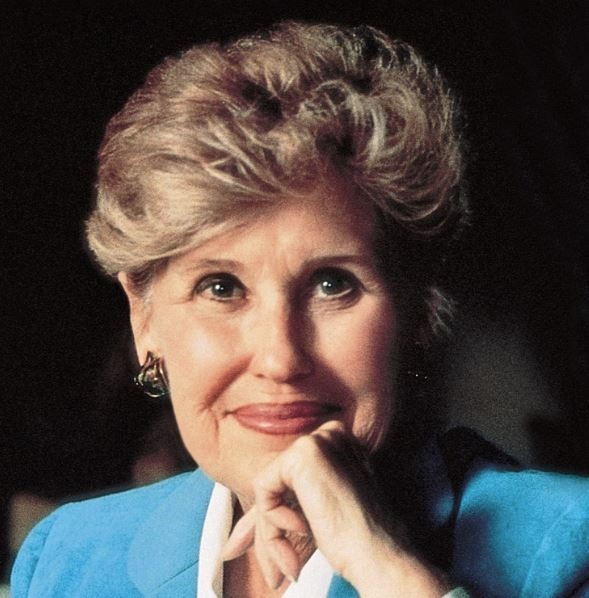 Then, I discovered Erma Bombeck, and although I was too young to truly appreciate the topics of her books and essays, I really liked her style—and I started mimicking it until I found my own voice. Odd combination of muses, I suppose, but whatever. I started blogging, because I still like to write, and though I have always dreamed of writing the Great American Novel, I figured blogging was a faster and cheaper way to get my ideas out into the world. Also, instant gratification.